Little League Baseball lost an icon and a legend in the spring of 2017, with the passing of Jim Scown. 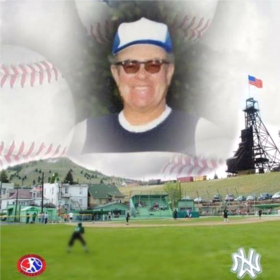 Scown was a career Butte miner who was well known for his work at Northwest Little League in Butte. He served as the league president for 26 years from 1970 to 1995. In 1988, the Northwest Little League field on Copper Street was renovated and named “Scown Field” in his honor. In 2016, Montana Little League District 2 created the Jim Scown Distinguished Little League Graduate Award in his honor. Many of Mr. Scown’s former players have come back to the program to volunteer and help spread Little League’s message of character, loyalty, and courage. 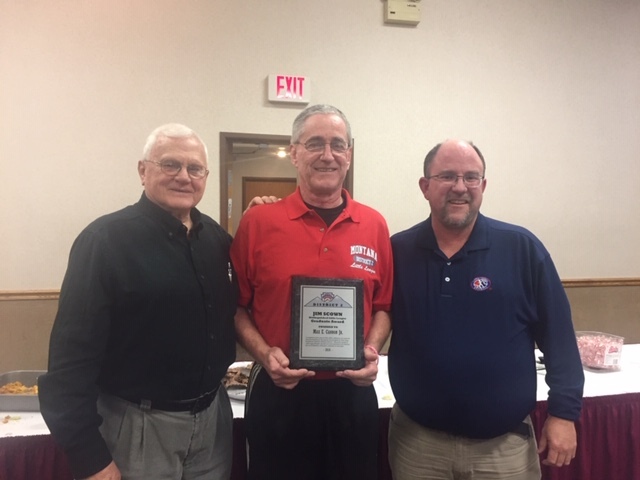 The Jim Scown Distinguished Little League Graduate Award was created in order to recognize those individuals who have come back to the programs in our District to help them continue to flourish. Additionally, the award honors those that live out the examples of character, loyalty, and courage in their everyday lives. Establishing this award is just a small down payment on all the thanks that the former and current participants in Montana Little League District 2 owes to this man. It was once said that “Heroes are remembered, Legends live forever!” Jim Scown is a legend we are fortunate to have benefitted from. Max Cannon of Missoula is the 2018 recipient of the Jim Scown Distinguished Little League Graduate Award. This is Max's 40th year in Little League as a volunteer. His playing days were spent at Mount Sentinel Little League in the early 1970's. He played for teams such as "THe Fire Department, "Elks 383", and "Hansen's Ice Cream". He had a successful playing career, being named to all star teams in 1972 and 1975. He continued playing after Little League with the Missoula Mavericks American Legion Organization. Max came back to Little League is 1980. He has served Mt Sentinel Little League as an umpire, coach, manager, board members, equipment manager, safety officer, and player agent to name a few. He is currently the UIC for Mt Sentinel Little League. He works at Bob Ward & Sons in Missoula. His umpire career is highly accoomplished. In 2018, he represented District 2 as a Delegate at the Little League Congress in New Orleans. He has umpired the Western Regional at the Littel League Baseball, Little League Softball, and Little League Senior Softball levels. He has worked the Senior Softball World Series. In 2019, he has been selected to work the 2019 Little League Softball WOrld Series in Appenrose, Oregon. Max has exemplified the traits described in this award. Above all of his work, he has been a recruiter and mentor to hundreds of umpires coming into the program as umpires. The success of many umpires can be directly related to his mentorship. He has a great sense of humor as well as the ambition to continue to improve himself. Montana District 2 is proud of the accomplishments and contributions of Mac Cannon.